It was not until just now that I began to realize the gravity of the events unfolding. Upon reading your letter, I burst into tears. I am with you on your decision. I am honored to have you as my teacher and will gladly support and I am thankful for your decision. I know how much John appreciated your wisdom at Wanderlust, Vermont. I am saddened that is has come to all of this. To believe in the “Wizard of Oz’ and all his powers and sleep in a field of Poppy’s…is it all a dream? I wish you the best and hope I can host you here on Long Island…integrity, studentship and all. You are a blessing “in or out” of Anusara. I know that was a hard decision for you to make. I am disapointed in John for not stepping aside. He could save face for the Anusara “brand” that so many wonderful people have committed their time and money. The teachings are sound and will survive. I would suggest a group of you top teachers re-brand under a new name and any Anusara teacher be automaticly certified. I know this unfolding story is not easy for you or others in the Anusara kula – whether certified instructors, or inspired instructors, or students and those in the process of certification. The larger community of yoga also is impacted – as you are no doubt aware. 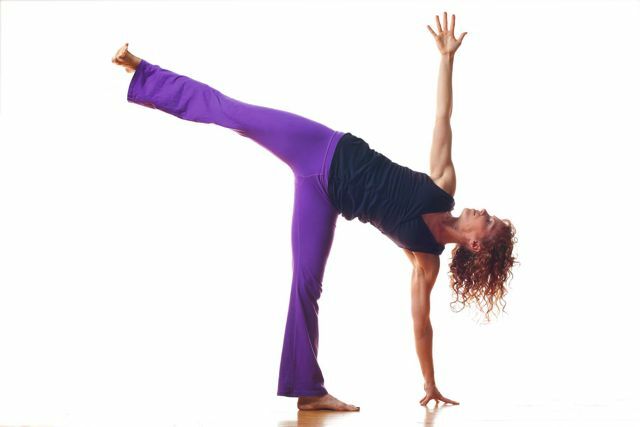 I teach a flow style of yoga heavily influenced by my workshops with John Friend in Atlanta, my classes with Gina in Atlanta, as well as the three immersion trainings I took with Gina in her first group. I now live, work, and teach in the greater Asheville area (actually the YMCA in Marion). My feelings are that new growth will arise from this as we all – especially teachers, and especially male teachers (of which I am one) look into our own stories and dharmic path for the level of service we aspire to. Clear-eyed honesty & uncluttered viveka, guided by love and compassion are what we all need to keep in our self-guidance tool box. I wish you the best and brightest and much love on this new adventure of yours. After reading DB’s post in Elephant Journal, I understand you completely. There is no one I know who speaks truth more clearly and brilliantly than him. Love to you Sarah. You are going to explode in yourself!!! I can’t wait to see you again! Dearest Sarah, I am still hanging on (now Anusara-Inspired), but I so respect your decision. I am waiting to see if something changes for the better. if it doesn’t, I’ll be outta there too. I look forward to seeing you here in Northampton when you teach the immersion. I am shocked and saddened by the recent news of John Friend. My prayers are that he heal and bring himself back into alighnment with integrity. I am sure that your decision was not an easy one to make. I salute you in standing in your truth. The principles of Anusara Yoga are filled with intelligence and integrity. For those reasons students study with our wonderful teachers. I will continue to study with all the wonderful teachers in our yoga community. Thank you for your courage and support. I know that the yoga community at large will continue to open to truth. None of this about John Friend, whom I have only heard about, surprises me in the least. I like the alignment work in Anusara, but have felt that it is too cult like. It seems almost like a religion to me. Much of yoga does. Mixing business with religion is very tricky – which yoga does. Ram Dass fell from grace way back when for similar reasons. None of this is new. I certainly support Ms. Faircoth’s decision. I also wish Mr. Friend the best in working out his issues. I wish Anusara teachings could be delivered without all the religious hype – but that is just me. This sort of thing happens when you get cult like goings on. These so called gurus are very often very seductive and it is easy to get blinded. Gurus are very appealing.